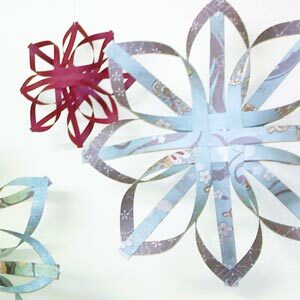 Looking to make simple homemade Christmas ornaments? 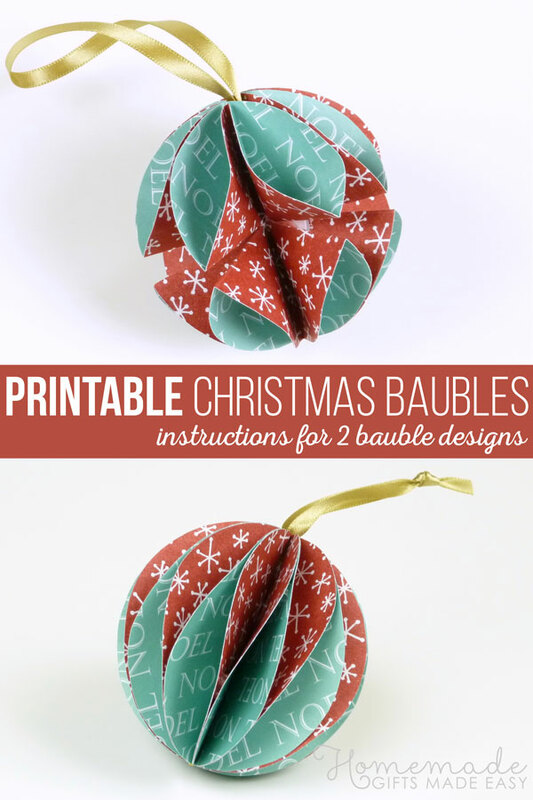 On this page you'll find an easy tutorial for how to make a super-simple paper bauble. 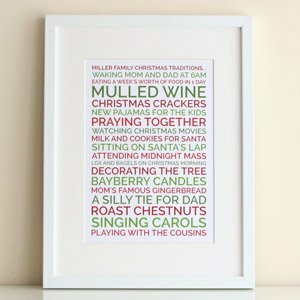 If you are looking for more ideas, take a peek at my other Christmas ornaments to make gallery at the bottom of this page. 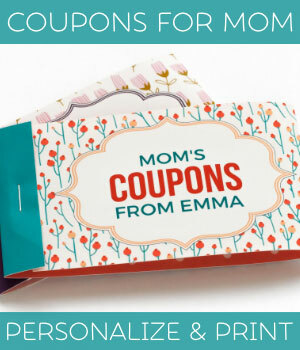 Using the rim of your glass as a template, trace out 8 circles onto your card-stock and then cut them out. 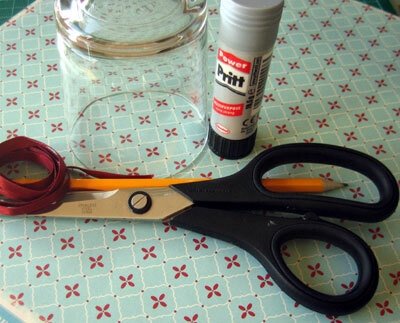 Using the base of your glue-stick (or any other small circular object you have laying around), trace out two smaller circles and then cut them out. 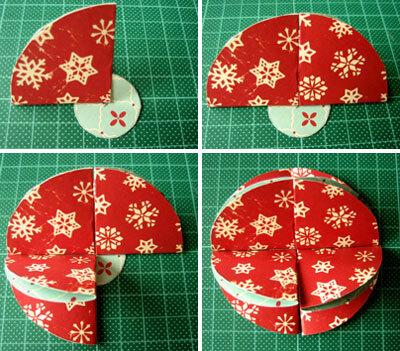 Fold each of your large circles in half, and then into quarters. 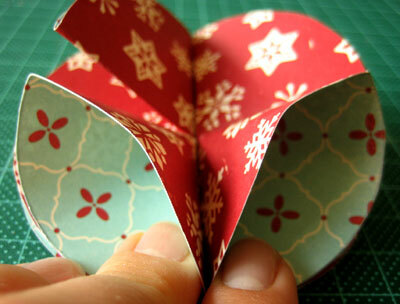 Glue down 4 folded-circles onto the one of your small pieces of circular card. 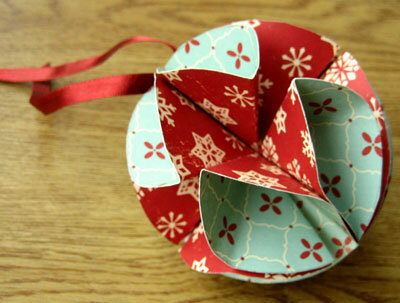 Repeat this with the other 4 folded-circles onto the other small circle of card. These are the two "halves" to your bauble. I find it easiest to cover the small circle of card with a thick layer of glue, and then press down the folded-circles into place. 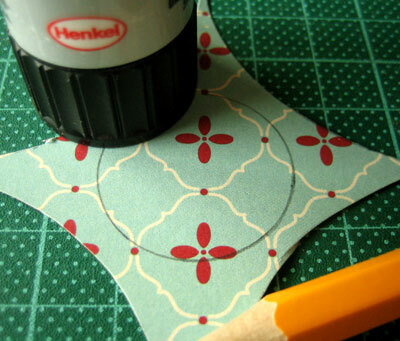 Cover the surface of each small circle with glue, and press the two halves together so that they line up nicely and the small circles from each half glue together. At this stage it is easy to flatten out your bauble and put it under a heavy book for a few minutes while the glue dries. 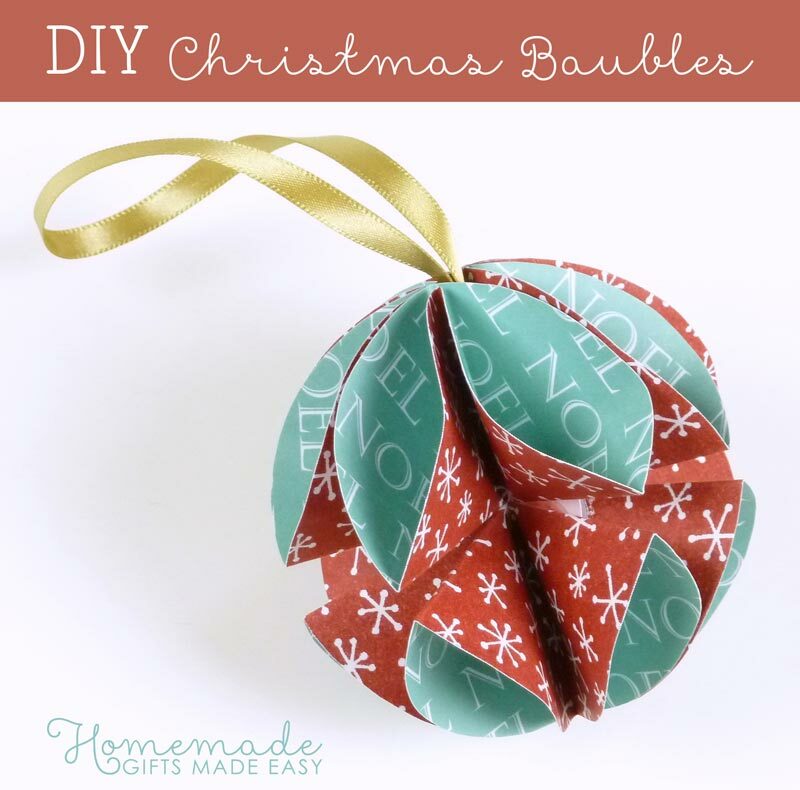 When the glue is dry, you'll want to attach a ribbon or string to the top of your bauble so you can hang it up and show off your fabulous creation! 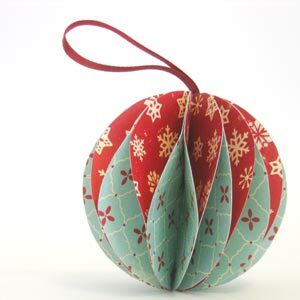 Either sew some pretty cotton through the top of your bauble and use this as the loop to attach your bauble to your Christmas tree. 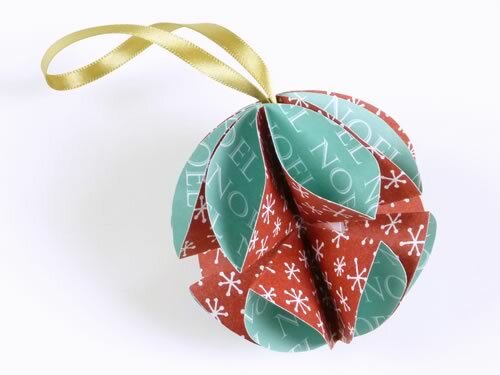 Alternatively, sew a small loop of cotton thread through the top of the bauble, and use this to secure a small length of colourful ribbon in place. Cut off any loose threads so they aren't visible (I am using contrasting colours here so you can see, but choose a thread that matches your ribbon).